I’d been lucky enough to go on plenty of holidays as a child with my family, mostly to France and Spain, with one trip to America that thankfully I was old enough to remember. 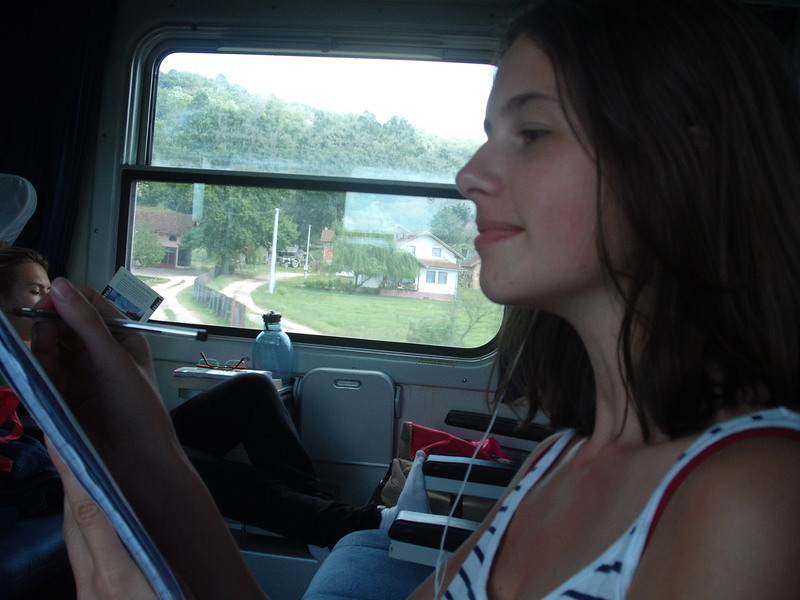 But my first taste of real independent travel was a trip I organised with a friend around the countries of former Yugoslavia in the summer of 2010. I was studying anthropology at university, and when the summer was over I was going to return to the frozen North of England to start my dissertation. As it was going to be on how Bosnian Muslims form their identity, I decided I needed to see the area first hand. I loosely based our trip around this Busabout tour: Ottoman Trek. This is a great idea if you have never planned a trip before but have a rough idea of where you want to go. I wouldn’t recommend following them to the letter, but they give a great idea of the best places to visit, a sensible way of moving between particular areas and a flavour of what there is out there. For instance, on this trip, I took the Split – Mostar – Sarajevo – Belgrade combination and made that the central element to our journey. That meant that we would visit the three biggest countries that made up Former Yugoslavia, and move from tramping around a city (Belgrade) to chilling out on the beach (Dalmatian Coast, Croatia). We decided to finish with a flourish, and our final train journey would be from Croatia’s capital Zagreb to Venice. We decided on an Inter Rail ticket; not only is it relatively cheap, it’s a great way to organise independent travel without throwing yourself in head first. By filling in the train times in your allotted days of travel, there’s less standing at a ticket window looking gormless. This was particularly helpful taking into considering where we were going; my Serbo-Croat wasn’t exactly up to scratch (read: nonexistent). To save on train journeys, we flew to Belgrade using Wizz Air. As a frequent flyer with Ryanair, this cheerful Eastern European outfit nearly made me weep with joy. There was space to stretch your legs, genuinely courteous plane staff, plenty of room for everyone’s carryon luggage, and decent food. Did I mention the space? Plus there wasn’t the migraine-inducing yellow decorating that Ryanair go in for. 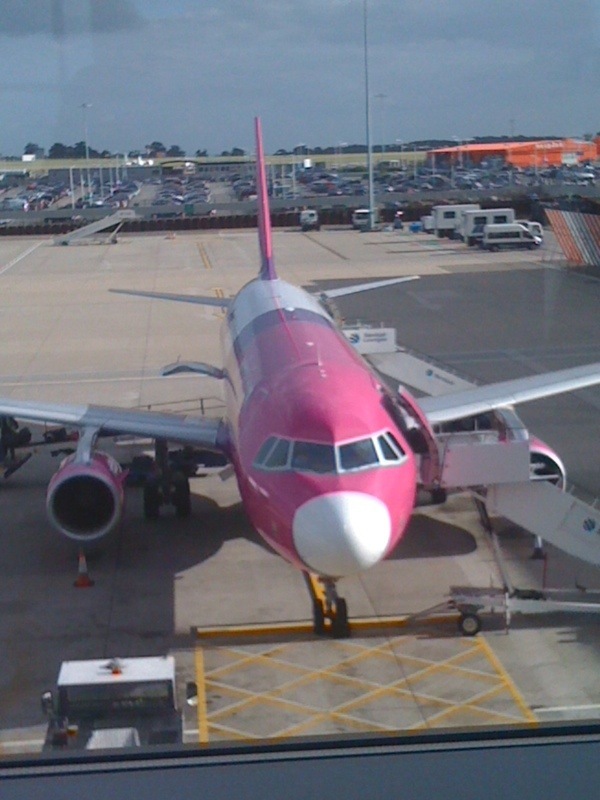 Of course, being a low-cost airline Wizz Air did have a colour scheme like all of the others. Ryanair’s is yellow and blue, EasyJet’s is orange, and Wizz Air’s is purple and pink. Which is much easier on the eye than it sounds. Now planning, for some of those who travel, is a nightmare. Looking up train tickets, trying to choose a hostel, figuring out exactly how you’re going to get from A to B without having to stop off at Z, D and J along the way. Even those who shun the idea of forward planning have to do something, even if it’s just knowing how to get to the airport. For me, though, planning is one of the most exciting parts of any journey. I enjoy reading train time tables (no, really), I can spend hours happily comparing hostels and I get a real satisfaction from having figured out the best way from accommodation to airport. More than anything, I love reading guidebooks and any information I can get on the place I am about to visit beforehand. I’ve read with horror that some people don’t pick up a guide book until you are on the plane to your destination (if at all). It feels me with horror because the idea of not knowing something about the place you are going seems to negate the whole point of travelling. You’re going to learn something about the culture, about the people. ‘How can you learn these things from a book?’ you may cry. As an anthropologist, that’s certainly not what I’m condoning. But I would reply that there is little learning to be done from entering into a world completely oblivious as to what makes it up, following fellow travellers around, and seeing sights that you know nothing about. You can also learn things on the go that you might otherwise have ignored. For example, whilst wondering around Sarajevo, my friend pointed to a red waxy blot on the street, the second we’d noticed that day. I vaguely remembered something about these from the guidebook and later that night in the hostel, I did a quick check. These are known as Sarajevo Roses, and each one noted a place mortar shell had landed during the Bosnian war. This was then filled in with red resin, to mark not just where explosives landed but where lives were lost. So sometimes, guidebooks are a handy tool. But I concede that the best way to truly know about somewhere is to just hit the road and see what happens. Thankfully the friend I was travelling with was one of the wonderful happy go lucky, relaxed types, who knows how to make me calm down the hours of intense research and live a little. It was a winning combination and with my planning-need satiated, and her insistence on a little flexibility and diving into the unknown satisfied, we finally had a trip sorted. It was to be my first taste of independent travel; the first chance to don a backpack, sleep in a hostel, be completely ignorant of another language and try the dodgiest of toilets. It was the one of the most exciting things I’ve had the fortune to do.